Altamont “Civil War Fantasy”, “Our Darling”, box set now available for pre-order! Valley King Records are releasing the first two Altamont full lengths as vinyl picture discs. They were both originally released on Man’s Ruin Records as cd-only releases. Both were remastered by Dale Crover and Toshi Kasai (aka Deaf Nephews). Each is limited to 500 copies (of which, 75 are part of a box set). 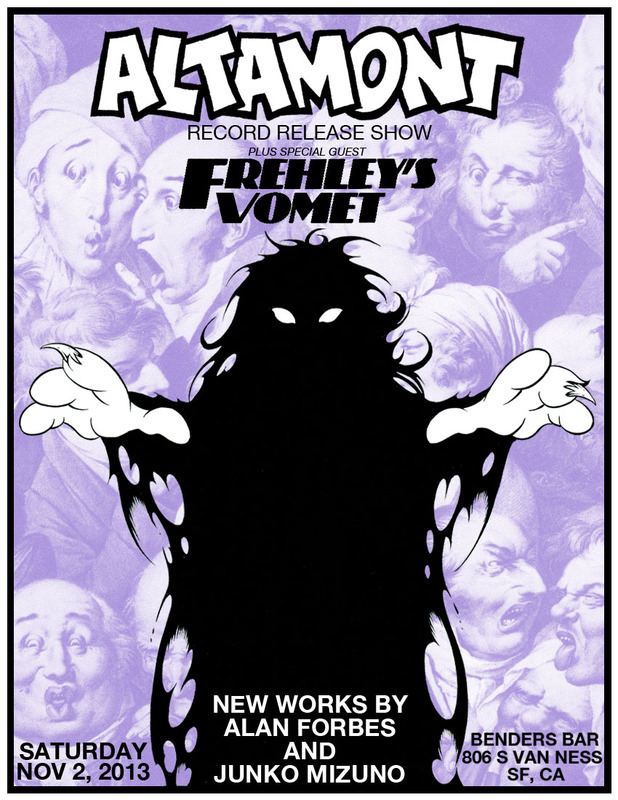 Altamont was formed in San Francisco in 1994 as a side project of Dale Crover (the Melvins), Joey Osbourne (Acid King), and Dan Southwick. Shipping starts at the end of August. First 100 pre-orders come with stickers based on the cover art. Civil War Fantasy – Remastered by Deaf Nephews (Dale Crover and Toshi Kasai). This is an edition of only 500 with cover art by Alan Forbes. Our Darling – Remastered by Deaf Nephews (Dale Crover and Toshi Kasai). This is an edition of only 500 with cover art by Alan Forbes.